This level is almost same to previous level and have normal difficulty. 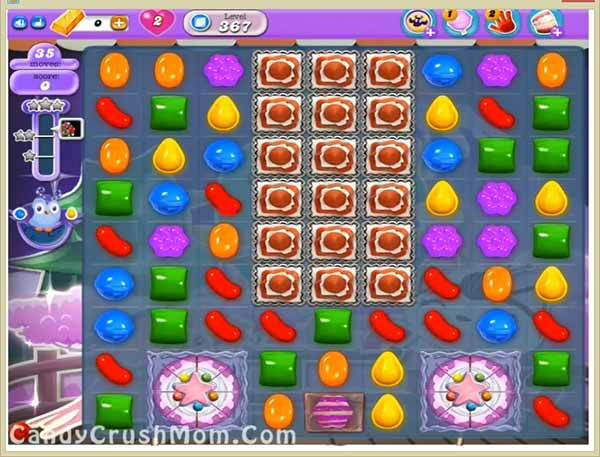 For this level first you should try to play near cake to break them or make special candy. After try to use special candy if you can balance the Odus owl and try to use more wrapped candies. After wait for the moonstruck and use special combo to break all remaining jellies. We completed this level with 188980 score using the same technique that we share above and got three star score at the end of the level.